Northeast Airlines announced on Jan. 13 it is close to signing a deal with the Port Authority of New York and New Jersey to make Stewart International Airport in New Windsor its north regional hub, as the airline plans on resuming passenger service. The airline, known for its yellowtails or yellowbirds, was founded in the 1930’s as the Boston-Maine Airways, and after years of expansion and contraction, financial difficulties and several crashes, only its cargo line is in operation. President and CEO of parent company Volare Air Group, AJ Rossi, said commercial flights at Stewart could be up and running as early as late spring or early summer. They are in the process of acquiring a carrier and developing their networks, which Rossi said might include Chicago, Milwaukee, Detroit, Buffalo, and a location in Florida like Tampa, St. Petersburg or North Palm Beach. “All this takes time and we just really started cranking down on the system in November,” Rossi said in a phone interview, emphasizing everything at this stage is preliminary. 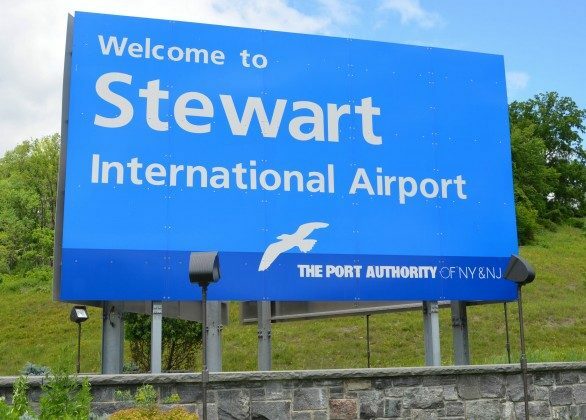 When asked what made them settle on Stewart as their northern hub, he said it was the governor’s plan to make Stewart the fourth airport of New York, and to tap into the local as well as the New York City market. Back in 2007 when the Port Authority took over Stewart’s lease, the idea was to divert traffic from the overcrowded LaGuardia, John F. Kennedy (JFK), and Newark International airports up to Stewart. That vision never materialized, and passenger rates have generally declined over the years, as the governor has pushed to increase the airport’s cargo business. The governor said in a 2014 press lease that Stewart would become a regional cargo distribution hub to relieve JFK, and the numbers show that cargo at the airport is on the rise. The airport’s cargo tonnage was up 8.5 percent year-to-date in November while its passenger volume declined by 8.7 percent for the same month, reported the Daily Freeman. One of the biggest barriers to attracting passengers from New York City is the lack of public transportation between the city and the airport, and Rossi said that is one of the structural issues they looked at when they were considering Stewart. To ameliorate the problem, he said Northeast is hoping to offer a helicopter commuter service into Manhattan and the Port Authority is working on a bus service. Once the proper infrastructure is there, he estimates the airport could serve six million people from New York and the surrounding states.